Internet access and the latest technology are transforming how businesses operate, recruit talent and employees collaborate. The right business tools can make everyone satisfied and happier. Remote project management and telecommuting was once considered quite difficult and reserved for only Silicon Valley based businesses. But the time has changed now. Nowadays, it’s a common business practice. If truth be told, in 2015, around 37% of US population worked from home. It equally benefits both companies and employees. The company can easily reduce operating costs and the employee eliminates long commutes and can spend more time with family. In short, the internet is entirely responsible for how efficiently businesses operate nowadays. 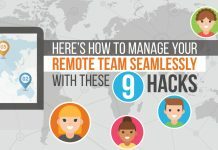 No matter if you run a small business with a small team, or large organization with hundreds of employees, or a solopreneur work with a few clients, you can embrace the power of online tools and software to operate your business from anywhere in the world. All you need is an internet connection and you are all done. There are many options available when it comes to online business tools, web-based software and SaaS applications. 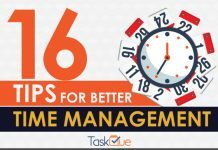 TaskQue – a free task management software put together an infographic below to highlight top 13 useful online business tools that can be used to run your business remotely regardless of your geographical location. 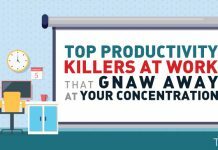 Next articleHow High-Performance Employees Re-Focus after a mind-shattering Meeting?